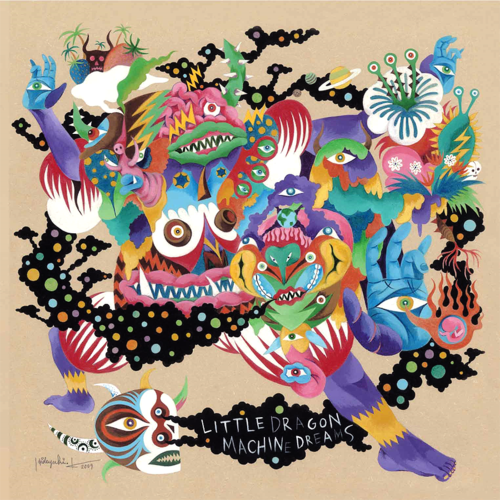 Cover art for Little Dragon’s album Machine Dreams. Download their song “Blinking Pigs” here. Madewell: What was your first DJ gig? Solange: I threw a couple parties at a small spot to get my hands dirty and experiment under the radar. After the earthquakes in Haiti, I wanted to help in any way I could, so I called everyone I knew, organized a party for donations and DJ’d. It was a beautiful experience, but most importantly, we contributed to something that’s really important to me. What song always gets people on the floor? “I Wanna Dance With Somebody” by Whitney Houston, hands down. Never gets old—always has been and always will be such a jammer. Well, I grew up going to Destiny’s Child concerts in my backyard, but my mom brought me to see Michael Jackson at the tender age of 1 (leather jacket and all). What’s your signature karaoke song? The last time I did karaoke, I sang Yeah Yeah Yeah’s “Maps.” High School angst all in that spot. What album have you listened to a million times? Shuggie Otis, Inspiration Information. It came out in the ’70s but will never age. It’s truly timeless music. This entry was posted in Uncategorized and tagged little dragon, madewell, music, solange knowles. Bookmark the permalink.